We all love the feeling of productivity. 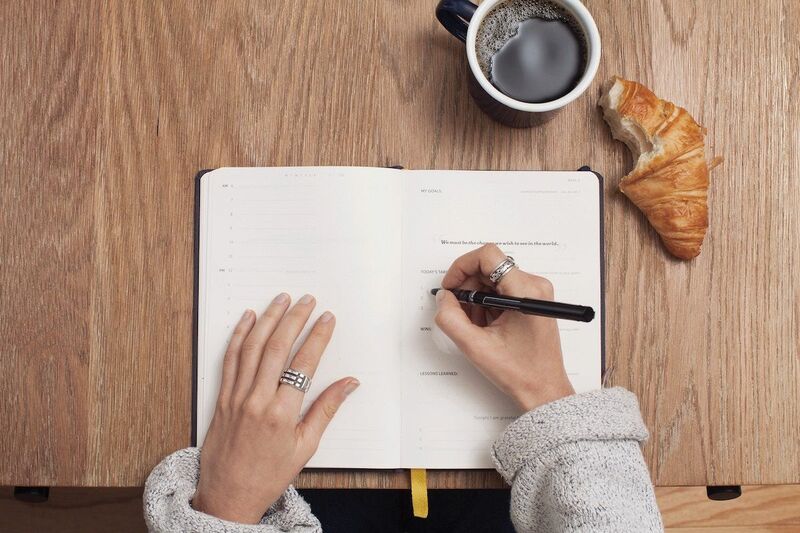 If you follow a strategy like the one recommended by Getting Things Done to be productive, the first step you should take is to write down or collect everything that requires your attention, whether personal or professional, and make a list of all the things or concerns you would like to do or resolve. The whole strategy is based on drawing up lists of things to do, reviewing and analyzing them, organizing them according to the priority criteria you have established, continuously reviewing them and carrying out the tasks you have set yourself. And then the process starts all over again. But have you ever wondered why we like lists so much or why the GTD method works so well? In the title of this post we’ve already announced the items that this list will have. 13 exactly. Now you know perfectly the length of the list. And of course you like to know things. 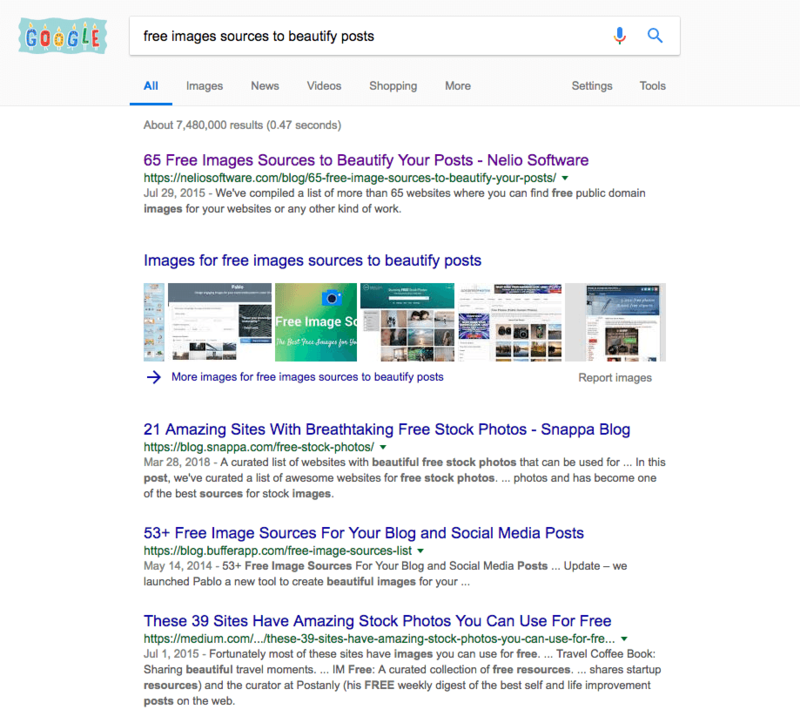 Result of the Google search for websites where you can get free images. Just taking a quick look at the items on the list, you may not need to read their possible explanation to know what they will explain next. In fact, by reading only the titles from the list of this post quickly, you’ll understand their meaning. In the case of lists, that’s precisely what it’s all about, simplifying the life of the person who has to read the list. Similarly, when you don’t know a topic, reading a list quickly can give you a general understanding of it. Then you’ll get into the details, but in a matter of seconds you can acquire enough knowledge for many situations. Thanks to the TO-DO list, the dog already knows how to do all the tasks on the list.. Source: Giphy. What’s more, when you have to learn a lot of concepts, having them classified in ordered lists makes them much easier to learn. I don’t know if it has a psychological explanation, but when someone puts a specific number of points on any subject, it creates the perception that there are all the points to be covered or at least the essential ones. Just by providing a figure you have a sense of rigor that makes you look like an expert about the subject. As I mentioned at the beginning of this post, many efficiency-enhancing methods and strategies, such as the GTD, are based on lists. Why? On the one hand, the fact that the tasks to be carried out or items to be dealt with in a meeting are written down delimits the number of topics, automatically excluding any other. And knowing that there are no more elements to deal with, it’s relaxing. The fact of writing something down on a list gives you the peace of mind of knowing that it can be left out for the time being and that you won’t forget about it, so you can worry about something else. The same thing happens when you plan an Editorial Calendar. For example, we first generate the list of posts we want to write in the next two months, and then we plan them in the calendar. 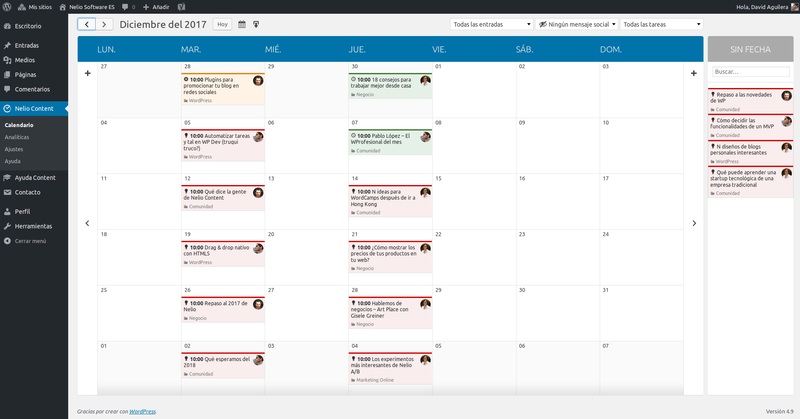 At Nelio, to be efficient, we first create the list of posts and then move them to the calendar. 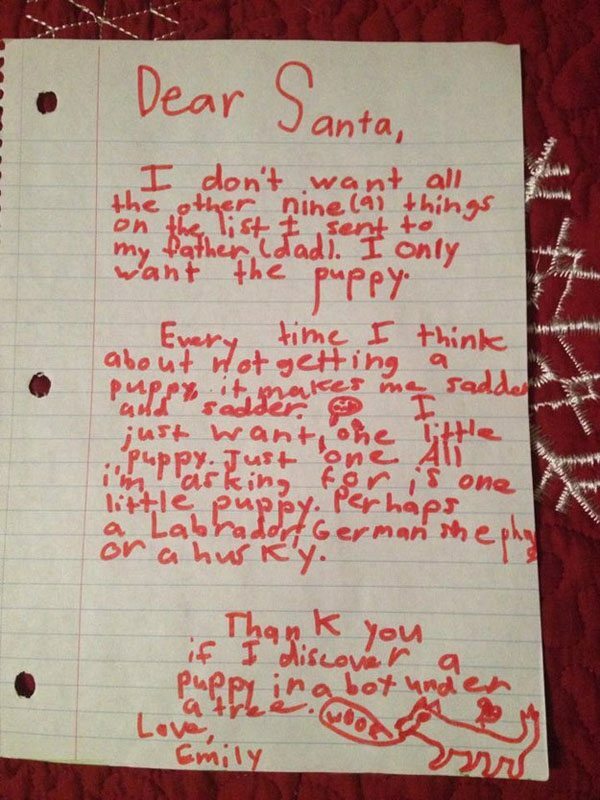 One of the first things you learn early in life in our country is to write a letter to the Three Wise Kings (or to Santa Claus if you are in another country). This is probably the first letter you’ve ever written in your life. And I’m sure the Three Wise Kings and Santa Claus have been grateful that it’s a list. Someone pre-listed 10 gifts, wanting only one. In addition to it we have the shopping lists, the list of things we need to take with us to camping, etc. We like lists because they are part of our daily lives. If you write a post with a numbered list of items, you shouldn’t have any problems adding more items into it in the future. For example, the post I initially wrote about 25 Game of Thrones Quotes That Will Make You a Better Entrepreneur, after a certain time became 25+ Game of Thrones Quotes That Will Make You a Better Entrepreneur. Adding the + sign has solved the problem when I updated the list with additional info. You know nothing Jon Snow. Photo by gameofthrones on Giphy. Lists are especially useful for detecting whether or not you agree with their content. They help to clarify ideas and are therefore especially useful for listing points for discussion. They are the basis of any contract between two parts. I know it may sound stupid, but because numbers as such are so precise, the moment you list a concept it seems to add rigor and precision to it. It is not the same thing to write a post with the title “Reasons Why We Love Numbered Lists” and “13 Reasons Why We Love Numbered Lists”. Although the content will be exactly the same, in the second case the title is already indicating that the post will contain a list of 13 concepts. And just because the concepts are numbered, it is an indication that the writer has spent some time thinking and organizing these concepts. This already helps to make them seem more true. I stress again the importance of ordered lists for efficiency. Establishing a to-do list or making a shopping list, every time an item on the list has been made or purchased, you know there has been progress. Even more, if you’re reading a post and know that there are 13 points, if you are currently reading point 9 you know that you only have 4 more to finish. This feeling of progress is especially important in contexts where you are looking to move forward. Knowing you’re progressing makes you happy. Source: Giphy. Why do we need an entire instructions manual when a basic list of points is more than enough? In fact, it’s been a few years since I saw the last person reading an instructions manual. We definitely like things to be short. Our time is precious and we don’t want to waste it on content that repeats the same thing 100 times. One of the advantages of lists is that they are easier to store and share. The ability to create and share playlists is probably one of the most important features currently offered by Spotify. Do you know this article? : Which Are the 25 Most Popular Spotify Playlists. If you want to throw a party, with that list you already have the music. The same happens when sharing references, books, places to visit, etc. This is not a trivial point either: when you want to deal with several topics and they are related to each other, having them arranged in a numbered list makes it much easier to reference them. With this idea in mind, I find it very practical and ingenious the way in which you order the dishes in the restaurants of the nomo group. A wooden box in which you have the menu with the dishes listed on one side and the cells with numbers where you put a magnetic token if you want that dish. For those at the table, it’s much more fun because we like to play with numbers and put our markers on a board. 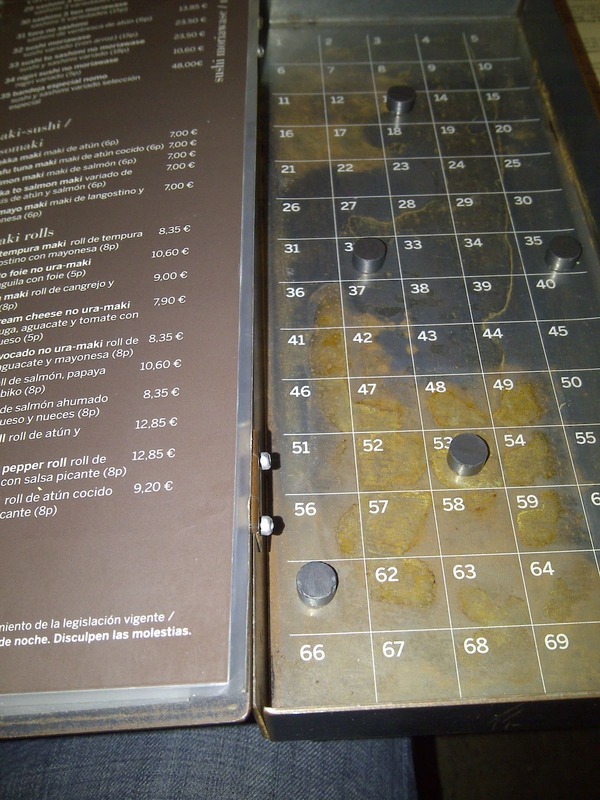 And of course, for the waiter who takes the order from each table everything is much faster with this type of format. #13 What About The Satisfaction Of Crossing An Item Off A List? We must have some kind of destruction-loving gene. Both children and adults. And on top of it, the pleasure we may experience when we see how a hydraulic press crushes objects. This kind of pleasure is similar to crossing an item off a list. Cross out to do list by Middle School Movie. Photo by middle-school-movie on Giphy. Just by thinking that you’ll have the pleasure of crossing out every single item on your list makes you want to do it, doesn’t it? But be careful and don’t go too far with it. Otherwise you’ll become a listholic. Conclusion: if you are going to write a post in a blog and it might take the shape of a list, don’t hesitate and write it like a list. You’ll have more visitors for sure!